when we were young and happy: Shanghai Answers: What's Chinese New Year like in Shanghai? Shanghai Answers: What's Chinese New Year like in Shanghai? When I refer to New Year in this post, it should be obvious that I am talking about Lunar New Year and not January 1. I stuck around Pudong (the quieter side of the city) for most of the break so my experience may not carry over to Puxi. This year, Chinese Lunar New Year/Spring Festival was on Friday, January 31. On the Tuesday before New Year, a friend and I went to a screening of Last Train Home, a documentary about migrant workers who make the annual journey to their hometown for Chinese New Year. It's an incredible film that I highly recommend. It's exhausting, depressing, and shocking. A man interviewed at one point in the film says something along the lines of if they didn't go back home for Chinese New Year, there would be no meaning to life. And when you see the thousands of people in the film trying to get home each year, despite delays, packed trains, and limited funds, you can see how many people feel this way. 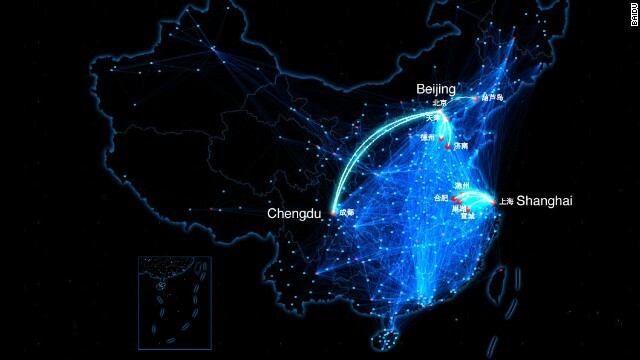 Most of the traffic from the big cities is outward as people go back to their hometowns. 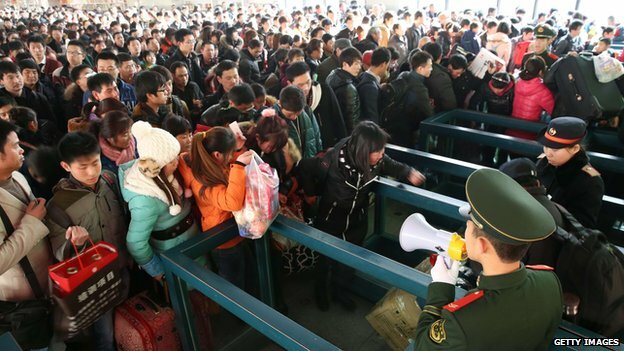 Shanghai welcomed about 3.62 million tourists over the break, a drop in the bucket compared to how many of its 24 million inhabitants left. Lots of conflicting things about what nights are the most popular and whether public displays will be held. It's a lot like Christmas. About 2 months beforehand, stores had already started stocking up on decorations, hongbao (red envelopes you give to people with money inside), gift boxes, and red underwear (worn to prevent bad luck if your zodiac sign isn't compatible with the new year's sign). Before Christmas, the lines were already pretty nuts with people stocking up on niánhuò (New Year's stuff). In the weeks before the holiday, pop up shops selling fireworks appeared. Because everyone goes home, fewer and fewer people were around as January wore on. Rolling suitcases abounded. Taxis became harder to get as bicycle parking spaces opened up. The city was generally delightful. The Metro was still running but with far fewer people than normal. Walking Charlie in the compound, instead of the dozen or more dogs we typically see in a day, I might see one or two. The fireworks situation is not what I expected. The name of the game here is SOUND. (How else would we chase off the evil spirits? Duh.) Epic, beautiful shows are not particularly common Individuals in the street or the middle of apartment compounds light firecrackers or boxes of fireworks that display for only a couple of minutes. The smog was so bad on New Year's Eve that people who shelled out to get good views of the Bund area were, reportedly, disappointed. Over the course of the week, I did see some really pretty fireworks from various friends' apartments; I doubt any of these colourful displays lasted even 10 minutes. Also, people greatly exaggerated the frequency with which they would be going off. It's not a constant stream and only lasted about 11-12 days. Maybe 20 times per day I would have heard something going off, more on New Year's (starting at midnight) and the Fifth Day (God of Wealth's birthday. Gotta get his attention so you can get cash this year!). I sort of expected a constant din that I would get used to. Instead, I woke with a start several times per night almost every night. Next year, I think we'll try to go away for the break so we can actually get some rest! If you have a housekeeper/ayi, it is expected that you will give 1 month's salary in a hongbao. She will also get a week or two off, still paid her regular salary for that time. If you have a contract, that may even be written into it. I presume this is the same for those of you with a driver, but I don't have experience with that. You can prorate this to the amount of time the person has worked for you if it hasn't been for the full year. *Remember to not give an odd # amount or any number related to 4 as those are bad luck. Ear plugs. They weren't enough for me to sleep through the night but I have to believe they were better than nothing. You can get them at Decathlon in a pinch. Be especially careful when you go to markets. For some reason, the Irishman and other friends had issues with being lied to/ripped off more than normal around the holiday time. The Irishman was buying several tops to give as gifts and was told they were the size he asked for. When he got home and took a closer look...not so much. On another negative note, I have heard that theft increases before the holiday, so watch your stuff. Explore the city over the holiday! The Metro is open and less crowded than normal. Take advantage! 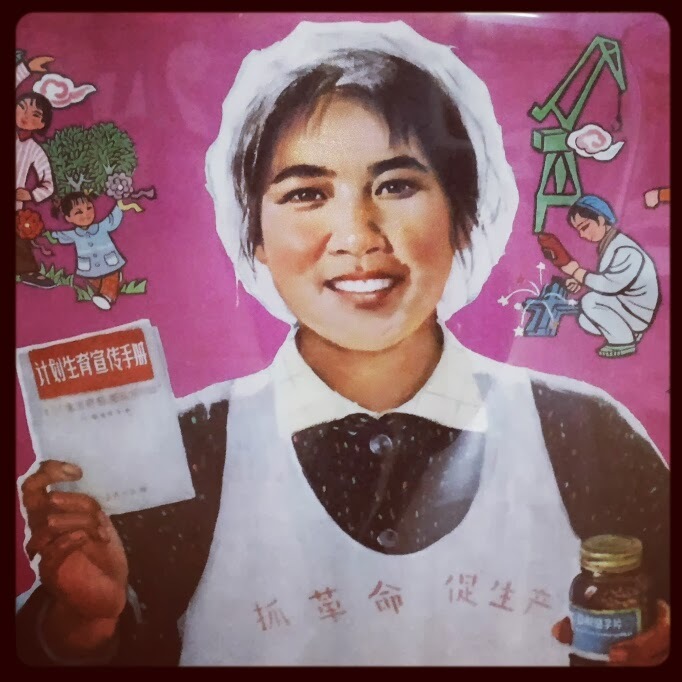 I visited the Museum of Contemporary Art and the Propaganda Poster Art Centre. Note: even if the attraction publicizes that it's open on public holidays, it might not be. The Museum of Contemporary Art had that plastered all over its website but was still closed on New Year's Day. Be aware that your shopping options will be a bit more limited. The supermarket was open the whole time so we didn't have to stock up on any necessities. If you're picky, though, be warned that products won't get restocked with their normal frequency. Smaller stalls and shops ranged from being open the whole time to being closed for 3 weeks. Most expat bars and restaurants stay open but are not busy. I went with a group from Reddit to Abbey Road, a popular Puxi spot. It was half empty and we called ahead to negotiate free fries and shots! If you're taking a large group (we were 30-ish) somewhere, call ahead and see if you can get perks for coming during an off-peak time of year. Am I missing anything? Comment below!